I don’t know about you, but whenever I see an author running a free promotion I find myself in a dilemma. If I’m aware of a book promotion then the chances are I know of the author, or somebody I respect knows and likes the author’s work. And that’s where things get a little awkward. On the one hand I would like to download the book. If I’ve heard of the book then it may well be a work I’m curious about but for whatever reason has never made it onto my reading list. It may be I’ve only just met the author and it’s on my wish list but below a number of other authors I’ve met earlier. It may even be a genre or style of book that I don’t usually read but I enjoy the author’s blog. Either way, I’m interested. On the other hand, I’m a big supporter of my fellow writers. I buy a lot of books written by indie authors. I’m happy – and can afford – to pay for the book. So I always feel awkward about downloading a free offer because if I want to support my fellow writers as much as I say I do, I should wait and pay for the book once it returns to its normal price. That’s my dilemma, and it’s one that has particular significance over the coming days. 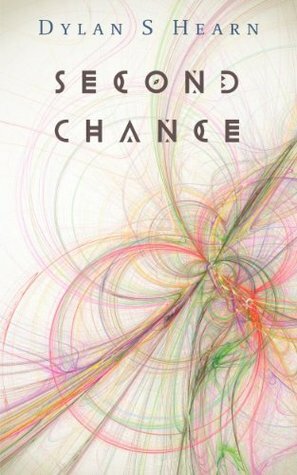 From Wednesday this week, Second Chance: the Transcendence Trilogy Book 1 will be available for free for five days, and I would love you to download it. If you’ve been thinking about buying it but have never got around to it, download it on Wednesday for free. If you’re curious about Second Chance but are unsure whether it’s your kind of thing, please download it and find out. If you like my blog but don’t see yourself as a fan of science fiction, download it. Not only do you not have anything to lose, many readers who don’t usually read science fiction have enjoyed my book. Don’t take my word for it, have a look at some of the 30 reviews on amazon.co.uk. And of course, if you find your love of books outstrips your ability to purchase them, then please help yourself with my thanks. Because if you download my book for free you won’t be harming me, you won’t be stealing from me, you will be helping me. The most difficult thing for any indie author is visibility. By downloading my book you will be giving visibility. At first this will be in the free science fiction/cyberpunk charts, but if enough of you download it, my book will move to the more competitive science fiction/dystopian charts, the on to the main science fiction charts, each step bringing visibility to an even wider audience. The more people who know it is available, the more chance it will be downloaded. Some of those people will read it and enjoy it, so much so they will want to read the second book in the trilogy, Absent Souls, which just happens to be published on Friday. And even after Second Chance reverts back to its normal price, all those free downloads help contribute to its popularity rating, and an item’s popularity rating is the default sort order on an Amazon search. So on Wednesday, please don’t be shy. Download my book for free. And if you’re feeling especially supportive, you could always read it and leave a review.